Cory was very polite and knowledgeable about what I needed. I will definitely call him in the future for all my work!! Excellent service Fair price Very nice and polite Will use them again. John B installed a new electric panel and installed new service lines for my new AC. He was extremely professional and amazingly fast. 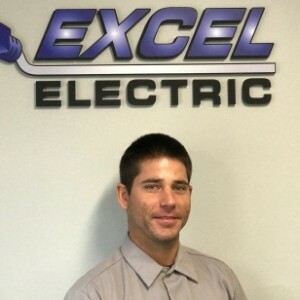 If you are in need of electrical work Excel is you Company and John B is your man. Responded quickly to my inquiry. Technician Cory was fantastic. Corey from EXCEL is wonderful. Found the problem quickly and fixed it just as fast. I am very pleased with the service I received and if you get Corey you will be too! This review is for both John and George who came together. They called to confirm, arrived 15 minutes early to be on time (very professional), listened carefully to what I wanted done, provided a written quotation with options and a firm price. I made decisions and they went to work. No time wasted. They kept me informed of progress, showed me what they were doing, went over what they had done when they were finished. I was impressed with their enthusiasm, their thoroughness, and their competence. I would recommend them to anybody. I had a great experience from beginning to end. Everyone was extremely professional and diligent. George and Corey did some fine with asst my place today. Have used Excel since 2011 because they are consistently professional. They do it right the first time and I've never been disappointed. 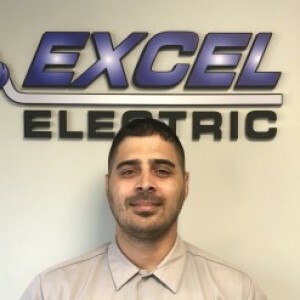 I was very impressed with Excel electric, specifically David Who came to my home for the service. He was professional, pleasant, knowledgeable and very helpful. He accomplished the work in a timely manner being careful not to leave a mess where he was working and just overall excellent. In the future I will request David as my serviceman! It was refreshing to have a company that cares about their employees, and strives to make sure you reap the benefits as the customer. John and Court were amazing. Very friendly, mindful and willing to take time to explain things. Tina also very helpful with back and forth telephone communications. Highly recommend! 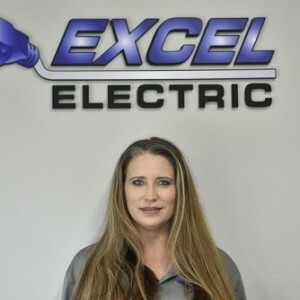 Excel does just that.Tech John B was on time,had the necessary parts in his truck.repaired the items in question and even suggested some things to prevent further problems.All in all a great company with a super staff. Work was done neatly and professional. From the minute I called and they worked around MY schedule, I knew that I had chosen the right company. David called a few minutes before he was going to be here, he gave me a reasonable quote and then did an outstanding job! He was very personable and patient as he explained things to me. He took the time to answer all of my question along with advice for choosing a generator and quotes for several other jobs. He thoroughly cleaned up after himself, as well! I will definitely use Excel again! David was spectacular. Before beginning his work, David explained the details of what would be the cost, what actions he would take to repair the electrical problem, and what other options could arise if he was not able to fix the problem. He went about his job, explaining when asked, what he was doing. He got the job done. David was very friendly, courteous and kind. Oh, and he did solve the problem. David and Excel have won over our loyalty. I don't want to call for help, but if I do, it will be Excel and asking that David be the technician who comes to the site. George S has a 5-Star rating and leads the company in total reviews, making this pro a ReviewBuzz Rockstar! George and his helper were ontime, professional and did great work! We will be using Excel again next week because of their great service.